Provide comfort for the family of Gene Murphy with a meaningful gesture of sympathy. 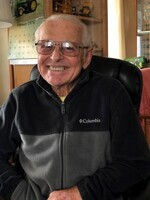 Age 72, of Hector, NY, went to his “heavenly home” on March 21, 2019 while at Strong Memorial Hospital in Rochester, NY. Gene was born on June 19, 1946. He lived most of his life in Hector, NY where he was born and raised. Gene had numerous jobs over the years. He spent much of his time during his youth working on the family farm in Hector, NY. He worked for Wickham’s Service Company for several years before he retired. He also worked on other farms and enjoyed working at a John Deere dealership. Wherever Gene worked he was a dedicated employee. In 2012, Gene volunteered in helping to build Schrader Farms Meat Market in Romulus, NY. Of all the jobs he held, he said this was the most rewarding work because they started every day in a time of prayer and the owners and his co-workers were most generous. Gene was raised in a Christian family, so he stayed with his conviction to be involved in a church fellowship. For the past several years, he enjoyed being a part of the Seneca Community Church in Romulus, NY. Gene was a John Deere enthusiast, was a member of the Finger Lakes Two Cylinder Club and enjoyed participating in the bi-annual New York Two Cylinder EXPO held in Canandaigua, NY. Gene is survived by his devoted wife, Martha (Honsberger) Murphy of 38 wonderful years. Recently, someone asked Gene how long he was married to Martha and his response was, “Not long enough.” Prior to Gene’s marriage to Martha, he was married to Vada (Smith) Murphy whereby they had three children: Karen (Matthew) Slezak of Katy, TX; Daniel (Erika) Murphy of Fontana, CA; and Jaime (Kurt) Sickinger of Latham, NY. He is also survived by five grandchildren: Kaitlyn Slezak, Jonathan Slezak, Logan Murphy, Colin Sickinger, and Molly Sickinger; seven living siblings: Paul (Lynda) Murphy, Ronald (Martha) Murphy, Phyllis (Warren) Palmer, Mark (Diann) Murphy, Carol (David) Armstrong, Mary (Frank) Smalley, and Larry Murphy; many nephews, nieces, great nephews, great nieces and extended family. He was predeceased by his parents, Daniel and Miriam (Kleppinger) Murphy and two siblings Martha Mae Murphy, John Daniel Murphy. Gene’s ingenuity and creativity were amazing. His ability to repair something was always fascinating and will be greatly missed by all who knew him. It brought Gene great pleasure to help someone in need. Gene always had an award-winning smile that was rooted in his faith in Jesus Christ. He had a great desire to live, so that he could continue to help those in need. A Celebration of Life Service will be held on Saturday, May 25, 2019 at 1:00 PM at Seneca Community Church (5738 State Route 96 Romulus, NY 14541) with a dessert reception to follow in the Fellowship/Commons area. Memorial donations may be made to Seneca Community Church, 5738 State Route 96, Romulus, NY 14541 or the Falck Cancer Center, 600 Roe Ave, Elmira, NY 14905 or the Finger Lakes Two Cylinder Club (attn: Cheryl Jensen) 1885 Scoon Rd, Geneva, NY 14454. You may express condolences to the family or “Light a Candle of Remembrance” online at www.RoyceChedzoy.com. 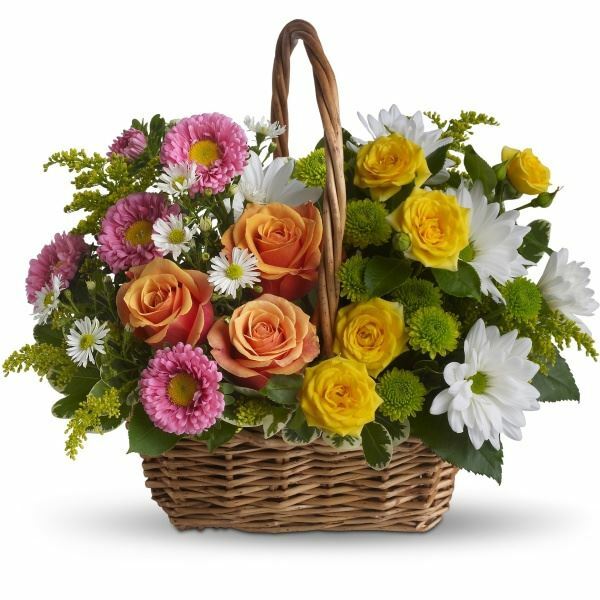 To send flowers in memory of Gene Murphy, please visit our Heartfelt Sympathies Store. Following services, there will be a dessert reception in the Fellowship/Commons area. Dave and Sue, Aunt Betty Kleppinger sent flowers to the family of Gene Murphy. Dear family and friends of Gene, Please accept my sincere condolences for your loss. During this difficult time may you find find comfort and strength from the memories you have shared. Gene as a person who valued spiritual things would know doubt have agreed that the Bible will also be an excellent source of comfort in the days ahead. May scriptures such as Revelation chap. 21 vs. 4 help you. It promises for the future "And he will wipe out every tear from their eyes, and death will be nor more, neither will mourning nor outcry nor pain be anymore. The former things have passed away." Martha, Im so very sorry for your loss and his families loss. He certainly was a funny, loving person. Im blessed that we were able to meet him and enjoy class get togethers at your home. He will be missed by everyone who has ever been in contact with him. My heart and prayers are with you. Hugs! Our love & prayers are with you. We will miss Gene tremendously and his kind and loving ways and spirit. May God be your comfort and strength. Dave and Sue, Aunt Betty Kleppinger purchased flowers for the family of Gene Murphy. When we first met Gene, he was in the Hector Parade. He was dressed in "John Deere" from head to toe. He was pulling his pedal tractors along. We encouraged him to join the Finger Lakes Two-Cylinder Club. We enjoyed our times of travel with he and Martha to IL/IA to see the Collector's Center open (which is no longer there). We had a great time with them. Gene will be missed so much by the John Deere community. He sure liked to run his crawlers, or as he told Martha, bulldozer. Rest in peace my friend.